FROM a team with the biggest home crowd support last year, to one struggling to even get to an opponent’s court, it has been quite a turnaround for Global Cebu FC, last year’s runner-up in the league. Global Cebu FC, which is now back to playing its home games at the Rizal Memorial Stadium in Manila, made news off the field again after it failed to travel to Iloilo City for what could have been Kaya FC-Iloilo’s home debut yesterday. The reason? Funding woes kept Global from buying tickets for the match. 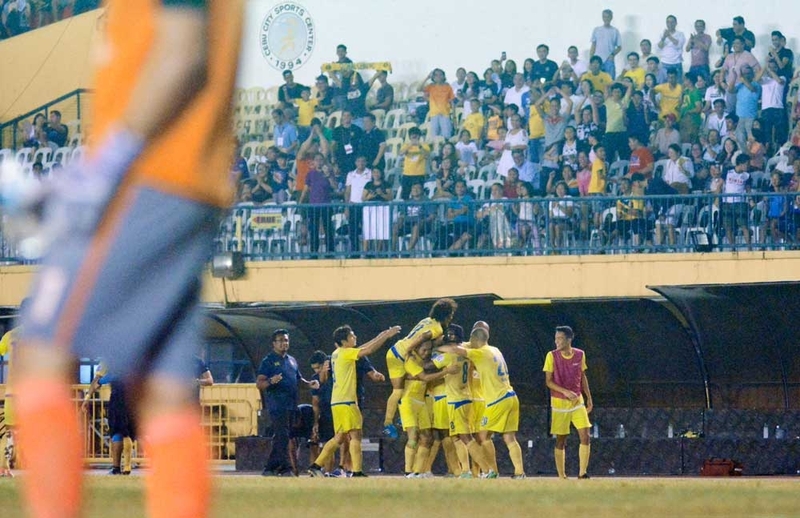 The club, which flew to and from Manila last year to play its home games in Cebu, going undefeated, issued an apology to the fans and to Kaya FC-Iloilo. “Global Cebu FC would like to ask for your understanding and compassion during these difficult times. Despite all efforts to raise the means we need to honor our commitment, the club’s current financial status will not allow us to travel and play Kaya FC in Iloilo,” Global Cebu FC said in its official statement. Kaya FC-Iloilo was displeased with Global Cebu FC’s move. “We’re very sad and disappointed because we were really looking forward to playing our first game here in Iloilo, and showing the fans what Kaya FC is all about, and hopefully gaining the support and admiration of the Province of Iloilo,” said Paul Tolentino, Kaya FC-Iloilo General Manager. Global Cebu FC said the now show was unintentional in their reply a day after Kaya released its statement.